Gaur City & Gaur City 2, are one of the most sought after township projects of Delhi NCR, Gaur City Noida Extension offers matchless combination of brilliant location, extraordinary infrastructure and remarkable pricing with world class facilities to its residents. Gaur City & Gaur City 2 is Pre-certified Green Building projects by the Indian Green Building Council. To match up to international level and designs, the master plan of the affordable housing, integrated township has been done by the renowned Singapore based consultant RSP. A comfortable access from NH-24 Ghaziabad, Noida & Greater Noida. 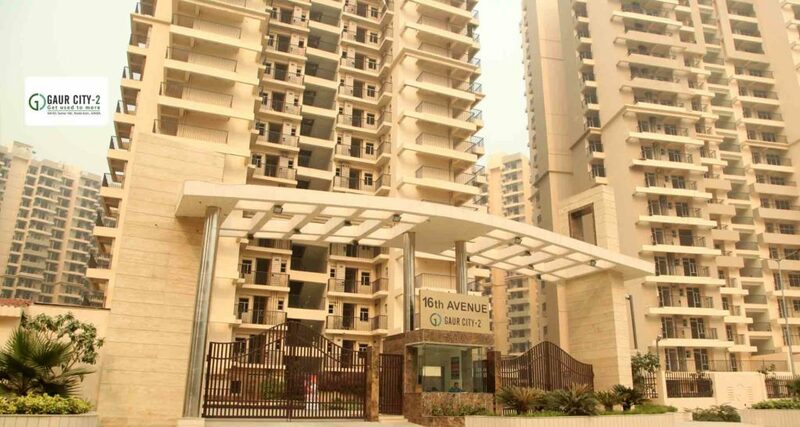 It is situated at Noida-Greater Noida link Road, next to Sec 121 Noida at Plot No. GH-01, Sec-4, G. Noida. It is just 7 KM. from Metro Station, City Center, Sec-32, Noida & 11 km. from Kalindi Kunj. Situated adjacent to Sector 121, Noida, the icing on the cake is that you don’t have to go far to enjoy the good life as Gaur City 2/3 BHK Apartments in Noida Extension is only 11 km from Kalindi Kunj and 7 km from the functional Sector 32, Noida City Centre Metro Station.